The Shenzhen Stock Exchange (SZSE) is one of three stock exchanges in China. The other two are the Shanhai Stock Exchange and the Hong Kong Stock Exchange. 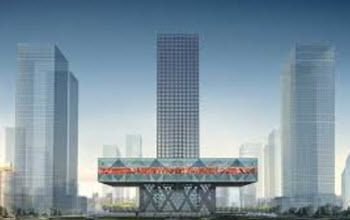 The Shenzhen Stock Exchange is located in the Futian district of Shenzhen in the Guangdong Province. Shenzhen is a city situated immediately north of the Hong Kong Special Administrative Region in eastern China. Shenzhen was China’s very first Special Economic Zone (SEZ). As of 2015, the Shenzhen Stock Exchange was the 4th largest stock exchange in Asia in terms of market capitalization of its listed companies. It was also the 8th largest stock exchange in the world. Many of its listed companies are subsidiaries of companies in which the Chinese government has a controlling interest. Trading takes place Monday through Friday, except for holidays declared by the exchange in advance. The Shenzhen Stock Exchange is found on 2012 Shennan Blvd in Shenzhen’s central business district, within the Futian part of the city. The exchange is located in a modern skyscraper built in 2008 – 2013. The 806 ft tall 49-floor building was designed by Dutch architect Rem Koolhaas’ company Office for Metropolitan Architecture. Partners involved in the design were Rem Koolhaas, David Gianotten, Ellen van Loon and Shohei Shigematsu. In June 2015, there were approximately 1700 companies listed on the exchange. Many of the companies listed on the Shenzhen Stock Exchange are companies controlled by the Chinese government. 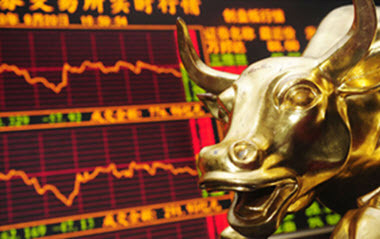 One of the most well-known indices for the A-share stock market at the Shenzhen Stock Exchange is the SZSE Component Index, an index of 500 stocks traded at the exchange. Introduced on 23 January 1995, with 20 July 1994 as the baseline, the SZSE Component Index is a free-float capitalization-weighted index comprised of the 500 largest and most liquid A-share stocks listed and trading at the Shenzhen Stock Exchange. The ChiNext board was opened by the Shenzhen Stock Exchange in the late 2000s and the first batch of companies started trading on ChiNext on October 30, 2009. ChiNext is intended to be a NASDAQ-type exchange for innovative high-growth start-up companies, especially within the field of high tech. The idea of establishing something similar to NASDAQ in mainland China was concieved in the 1990s, but the burst of the dot-com bubble put those plans on hold until a decade later. The first batch of companies to be traded on ChiNext was 28 firms with a Total Market Cap value of almost 11 billion Rimbini. The second batch, containing no more than eight firms, strarted trading on December 25. In the following year, 117 additional firms went public on ChiNext, followed by 128 firms in 2011 and 74 firms in 2012. In 2013, the IPO market was closed in China. After it was opened again, two dozen firms went public on ChiNext in January 2014. Compared to the Main and SME Boards of the Shenzhen Stock Exchange, ChiNext has less stringent listing requirements. In June 2015, over 460 companies were listed on ChiNext.